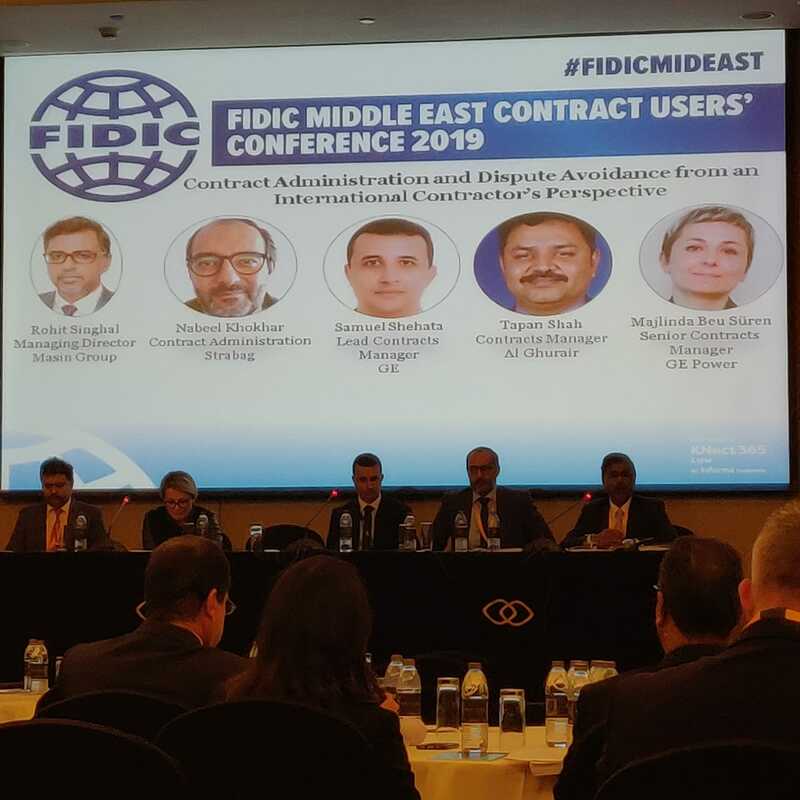 FIDIC organized 10th Annual Middle East Contract User’ Conference. This was an essential networking and guidance from the FIDIC Contracts Committee and leading construction law minds on successfully using the FIDIC suite of contracts, managing major projects, handling claims, dispute avoidance & resolution and more. Masin was one of the associate sponsors and Mr. Rohit Singhal, CEO was part of the panel session “Contract Administration and Dispute Avoidance from an International Contractor’s Perspective”. The panel assembled seasoned Contractors and in-house contract specialists from large infrastructure and engineering firms operating at the coal face of real world implementation of FIDIC Forms of contract. The panel discussed critical areas of contract administration including optimization opportunities and common pitfalls to avoid, as well as the latest trend in dispute management and avoidance. Each of the speaker provided a key takeaway to live by as a Contractor-side user of FIDIC.